One of the best things about living in Maine is the community. For a population of 1.3 million, we have a surprisingly large number of writers and artists. The gorgeous landscape must be inspiring. 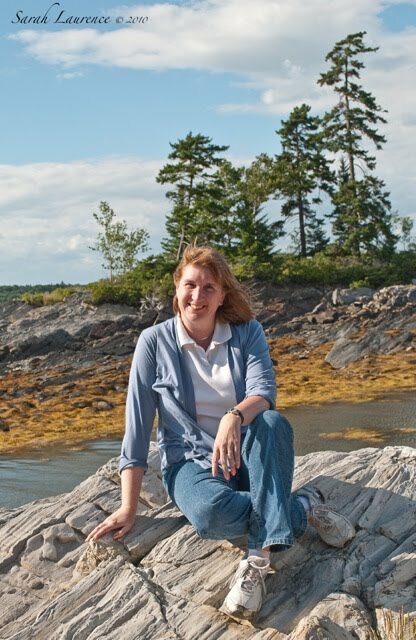 My neighbor Cynthia Lord is a Newbury Honor author. Cindy's editor, Kate Egan, lives around the corner from her. 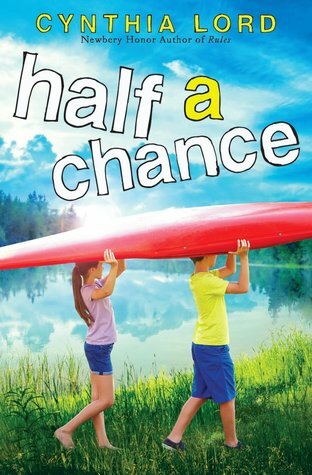 Their first book together, Half a Chance, is about a 12-year-old girl who secretly enters a photo contest judged by her father. Every chapter explores a theme of the photographic scavenger hunt. Lucy, who just moved to New Hampshire, asks the boy next door for help. 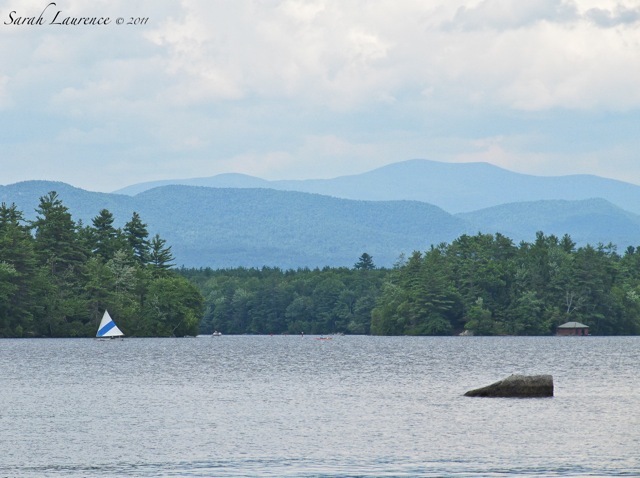 Over the summer they explore the beautiful lake, their small town and surrounding mountains in search of original photo subjects. They also help Nate's ailing grandmother monitor the nesting loons on an island. This enchanting summer tale teaches the young reader about photography, wildlife conservation and artistic ethics. The fun competition becomes serious when Lucy realizes that her best photo might betray the trust of her new friend and compromise her father's professional integrity. There are no easy choices. Cindy writes so well about what she knows. She grew up on a lake similar to this fictional one. Her husband, a professional photographer, gave her excellent guidance. Cindy not only describes the process of photography but also the artistic decisions behind a composition and how to achieve emotional impact through imagery. During the time that she was writing Half a Chance, I noticed that her own photography skills improved. She also researched loon behavior thoroughly and spent days kayaking. 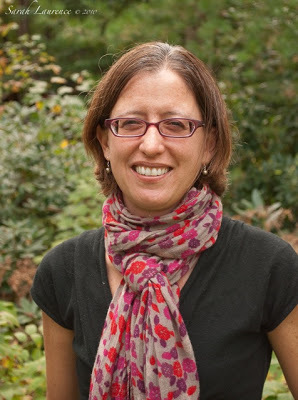 Cindy is a method writer, but her technically brilliant prose is humanized with raw feelings. I dare you to finish this book with dry eyes. "Whenever we move, I take a picture as soon as we arrive. It always makes me feel a little braver, knowing that on some future day I can look back at that photo, taken when it was new and scary, and think, I made it. Like creating a memory in reverse." Credit is also due to editor Kate Egan. In a well edited book, you won't notice the writing but will focus instead on the story. This one flows so well, allowing the voice to sing. Half a Chance reads like an old classic with modern updates (eg texting and a computer programer mom.) Usually I can find a fault in a book that editing might have corrected, but the only thing I could criticize is the cover. The illustration is pretty, but that's not how you carry a kayak. I'd strongly recommend Half a Chance to girls and boys in elementary school up to age twelve. There's a hint of romance but the focus is on friendship and family. It would make an excellent bedtime story because you will enjoy reading it aloud as much as your kids will enjoy listening to it. This middle grade novel received starred reviews from Kirkus and School Library Journal. Brava, Cindy and Kate! Encore! 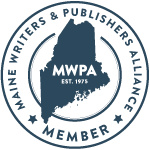 Reviewer's Disclosure: I bought Half a Chance at Gulf of Maine Books. Cynthia Lord and Kate Egan (an author as well as an editor) are my friends. 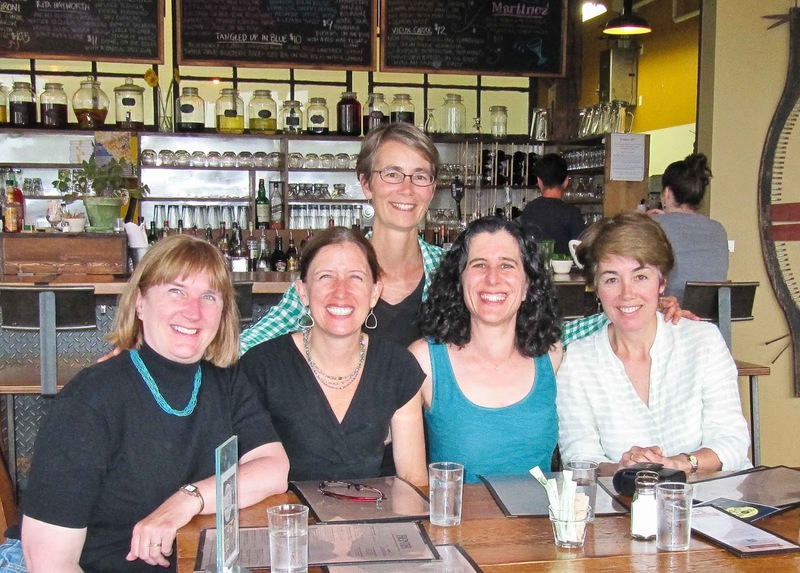 We get together with children's authors Charlotte Agell and Maria Padian to talk books. These talented neighbors encouraged me to write young adult fiction. That's the best kind of peer pressure! All photos are mine. The last one was taken by Scott Smith. What a beautiful picture of you writers! Sounds a really apt read for the target audience - especially those with a love of water - pretty much that whole demographic. Yup, the cover illustration is super but you are right about carrying a kayak! I'd surely like to read the book to my kids because it covers a topic I find attractive. And I bet, you writers learn new skills with each and every new book which you are the author of, don't you? PS It's such a lovely photo of your Writers' Night Out. :) It's great to have such a supportive group where you debate what you like and are interested in. Not being a kayaker, I would never have noticed the problem with the cover:) Another great review, Sarah. How wonderful to have friends like these who share your passion and no doubt provide very helpful feedback--great photo! Nice one! Loved the review.